The question facing the Trump administration on European ballistic missile defense is: should the United State go ahead with the next phase of the program or pause to let serious discussion with the Russia begin on nuclear proliferation and arms control. The Center for Strategic and International Studies used a debate format to look at possible ways ahead in deploying the Aegis Ashore system in Poland. Ground was broken for the site last year and a separate system is already deployed in Romania. Frank Rose, a former assistant secretary of state for arms control in both the George W. Bush and Barack Obama administrations doubted Russia’s sincerity in saying that it wants to proceed to larger discussions. “They just move on to the next phase” of objecting to the deployment of a defense system aimed at Tehran. With the Russians, “we may be at the end” of bilateral negotiations over arms control and proliferation, he said. The Iranians “have all the building blocks in place” to successfully build, test and launch intermediate range ballistic missiles capable of striking Europe, he added. “Put the Poland phase on hold,” Joseph Cirincione, president of the Ploughshares Foundation, said. “We have to push back against Russia, not in Poland, but in the White House.” Saying the United States was “$300 billion in the hole” in spending on missile defense since the 1980s no history of success in defending against longer-range threats. Russia does not accept that the European Phased Adaptive Approach ballistic missile defense program is aimed solely at Iran. The Kremlin sees it as a threat to its strategic deterrent, he said. A key concern for Russia is they cannot tell if launchers the United States say are for defensive purposes but could be used offensively. Aegis Ashore system uses the Mk-41 Vertical Launch System to house its Standard Missile 3 BMD interceptors. 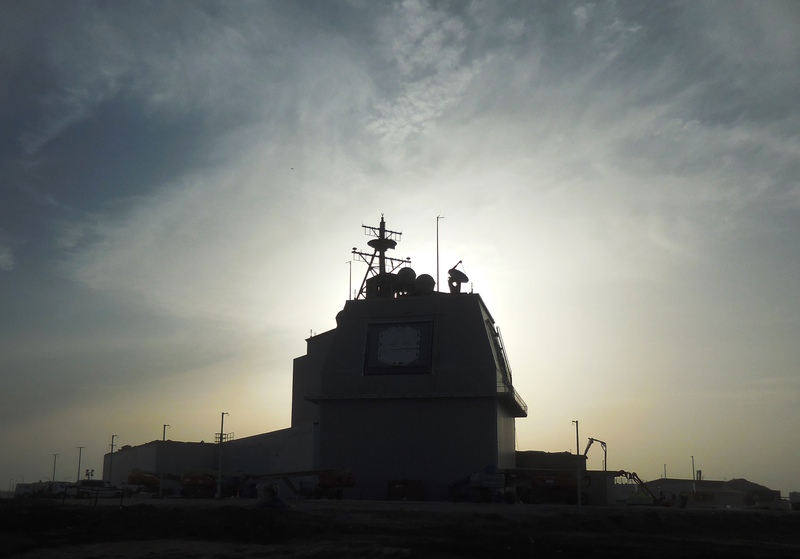 They can also field other offensive weapons, however the Navy has said the combat systems on the Aegis Ashore installations are only set to fire the BMD interceptors. Tom Karako, from CSIS, countered, “missile defense contributes to regional stability.” He said in these discussions over European missile defense “we’re not here to re-litigate” the nuclear weapons agreement with Iran because it did not limit its missile program. “The threat is real” from Tehran. “Better to outpace the threat” by going ahead with the European program. “You can’t snap back into place like sanctions,” if you don’t proceed with deployment. A pause in the Polish site, Phil Coyle, from the Center for Arms Control and Non-proliferation, said would allow President Donald Trump to demonstrate he “is willing to take a fresh look … and assess Russia’s reaction” to those initiatives on building a different relationship. Rose said President Vladimir Putin and Kremlin leaders are uninterested in being transparent in arms control and proliferation discussions or actions. Moscow recently deployed cruise missiles in violation of treaties covering intermediate range missiles. Cirincione said America’s NATO allies really “want U.S. troops” to “have a trip wire” to deter Russian aggression more than a missile defense system. In objecting to the missile defense system, Karako said Moscow’s “real object is more political” in trying to intimidate its neighbors. Rose said the intimidation factor also figures in Iranian thinking. “I will rain fire on you” even with conventionally armed missiles is the threat implied or stated to achieve their ends. There have been successes in missile defense. Karako cited successful efforts in the second Gulf War with Iraq and now in Saudi Arabia and United Arab Emirates in countering weapons fired from Yemen. The “Aegis system has worked effectively over the last decade.” Rose added. Cirincione called for full testing of longer-range defense systems against missiles employers jammers and sensors to judge their effectiveness. Otherwise, they are systems “based on faith” not facts.